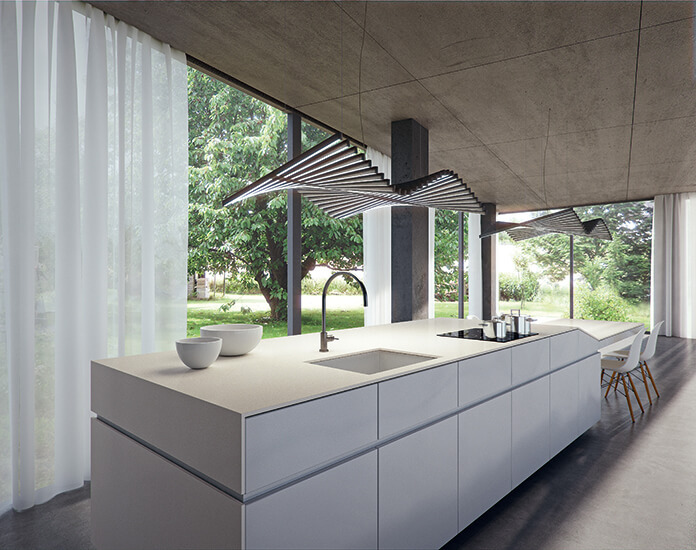 Nowadays, Quartz kitchen countertops are becoming more and more popular, it has some overwhelming advantages over other materials which make it become the first option for the kitchen. As quartz countertops requires less maintenance and care, therefore to clean the quartz kitchen countertops in your kitchen involves no more than wiping with a damp cloth and then drying with another soft cloth, Quite easy and simple. Spills which dry on, such as egg yolk and so on can usually be removed with an abrasive scourer; if the worst comes to the worst you can remove them with a sharp knife. This will not damage the surface of your quartz countertop, whereas marble or granite may suffer from scratching. Of the many types of materials from which kitchen countertops are made, quartz is probably the easiest to care for and to keep clean. Being a cold material it is also great for rolling out pastry or dough. Just wipe off the residue with a damp kitchen towel and then follow with the damp cloth and soft cloth drying procedure. Following these care tips and using commonsense will ensure that your quartz countertops remain beautiful for as long as you own the kitchen. Granite countertops costs about the same as quartz countertops, but why quartz countertops are becoming the first choice of the kitchen? As known, Quartz is extremely hard, measuring 7 on the Mohs hardness scale (diamonds are 10). This means it is very difficult to scratch or chip it. It is almost impossible to stain since it is non-porous. Red wine, coffee and so on just sit on the surface until you wipe it off. Because it is non-porous it doesn’t need to be regularly sealed or treated as granite does, for example. It is almost impossible for germs and bacteria to breed, once again because of its non-porosity. 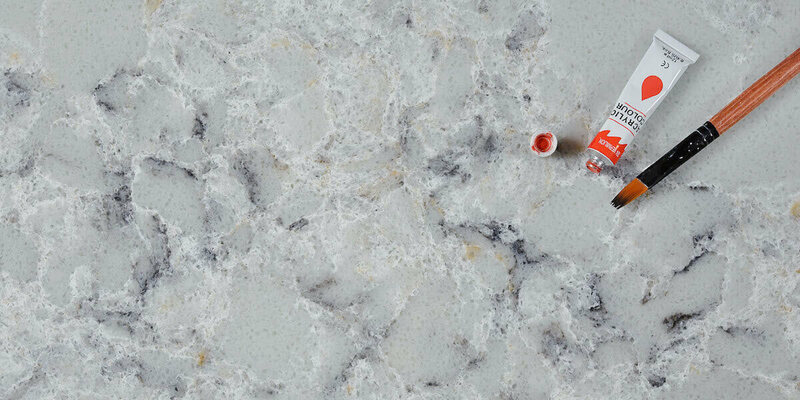 Not only do quartz countertops have all these features, they also come in a huge range of colors so there is bound to be one to suit you.